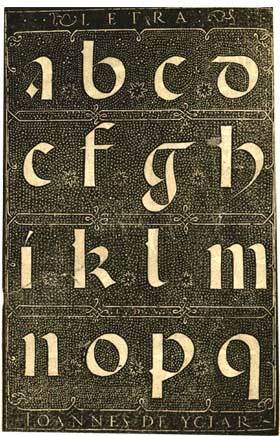 The above alphabet was designed at the end of the 15th century. 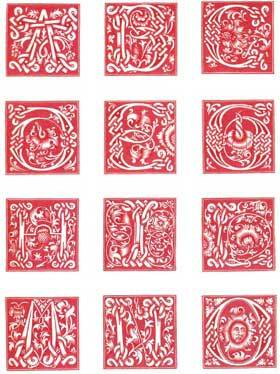 It Inspired many magazines publishing alphabet monograms in the end of the 19th century. The above alhzbet is from the Missale Traijectense publishe in 1515. See the hand book of medieval alphabets and devices by Henry Shaw. Alphabet by the Spanish calligrapher Joannes de Yciar who published Arte Subtillissima in 1550. 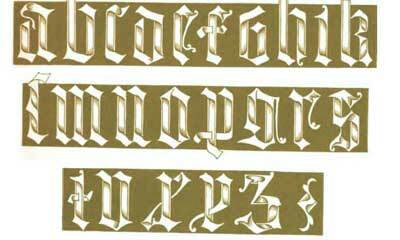 An alphabet from the late 15th century.